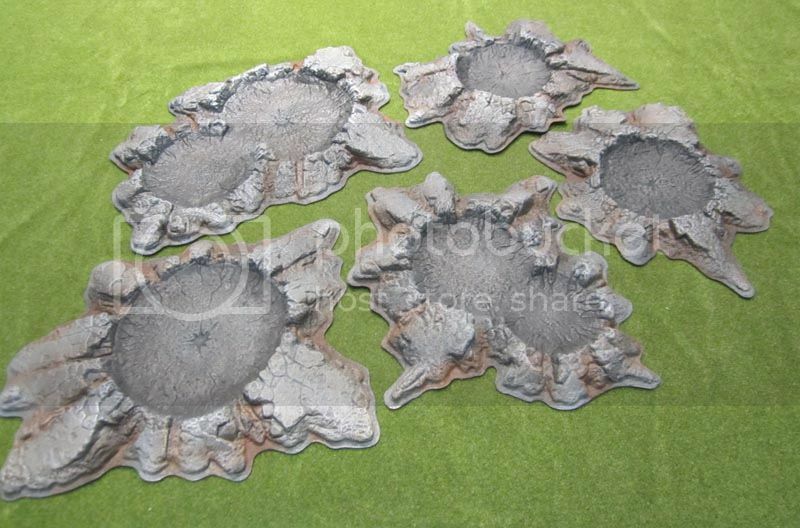 From the Painting Desk #5.1 – Completed Citadel Craters! | Azazel's Bitz Box. From the Painting Desk #5.1 – Completed Citadel Craters! Turned out alright, I reckon. Just enough contrast between the light and dark, and a bit of weathering powder to represent the dirt underneath being thrown up. I kept the palette to grey and brown, so that they can work reasonably well on a variety of table surfaces. 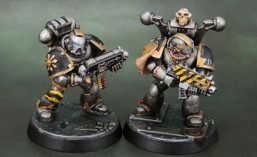 I really enjoy finishing up pieces like these – they work well across a variety of genres, as our Dark Angels, Heer, WarZone Imperial and other friends here demonstrate. I also very much enjoy being able to quickly turnaround pieces. Being able to go from basically unpainted (ok, it was sprayed and had some texture on the edges) to finished in 24 hours or so (under in this case) is always incredibly rewarding and appealing. 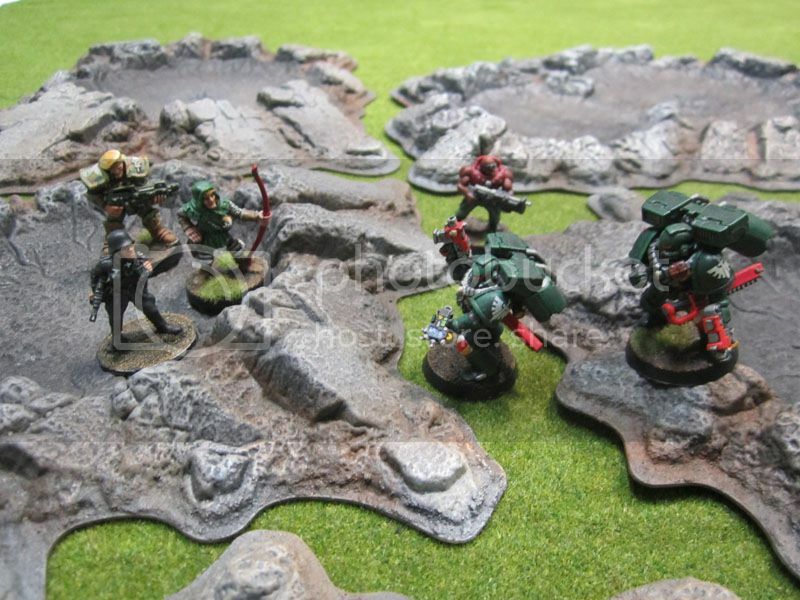 This entry was posted in Wargame Scenery and tagged Citadel Craters. Bookmark the permalink. Pingback: Mini-scenic items, from 40k 3rd Edition | Azazel's Bitz Box. Nicely painted. Those vac-form pieces were a real disappointment until I came up with a better construction and painting solution. Check out https://wildboarblog.wordpress.com/tutorials/terrain-tutorials/how-to-make-useful-durable-terrain-out-of-vac-form-pieces/ and the later version at https://wildboarblog.wordpress.com/tutorials/terrain-tutorials/even-more-vac-form-terrain-magic-for-the-frontline-blast-zone-mat/ . BTW, I hadn’t actually realized that you were in Australia till I read down into some older posts. My mother married and moved out to Cloncurry in Queensland in 2014. We are trying to arrange a visit to Australia summer of 2016. Smaller world than we think.